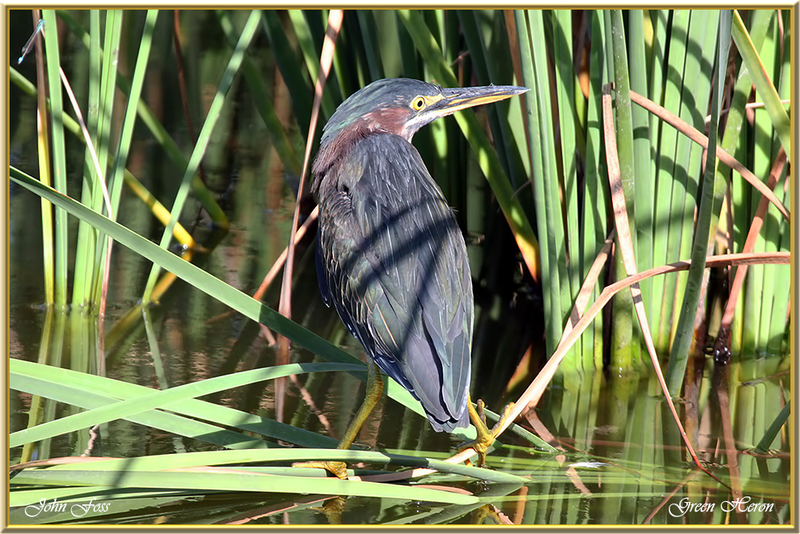 Green Heron - Compared with most herons, Green Herons are short and stocky, with relatively short legs and thick necks that are often drawn up against their bodies. 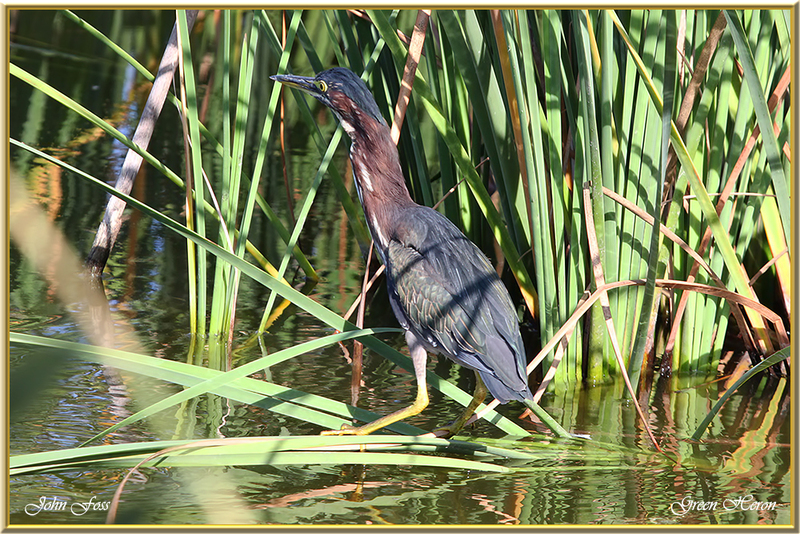 Green Herons stand motionless at the water’s edge as they hunt for fish and amphibians. They typically stand on vegetation or solid ground, and they don’t wade as often as larger herons. 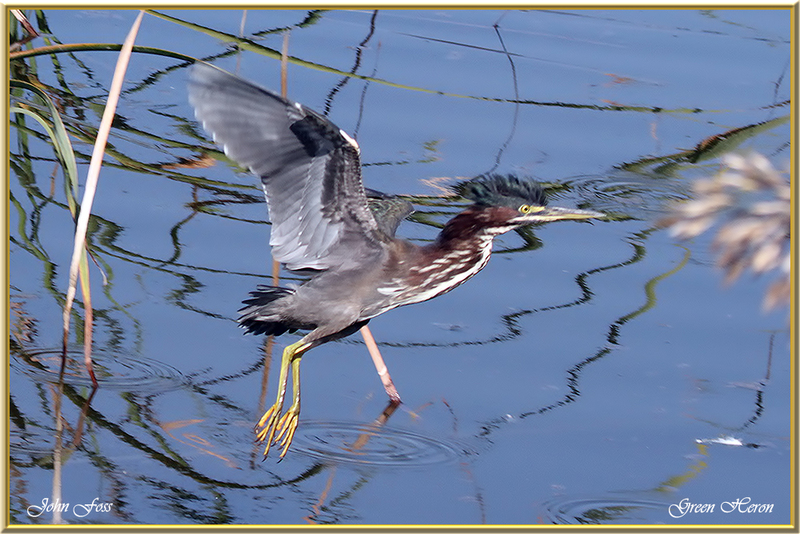 The Green Heron is one of the world's few tool-using bird species. It is a common species of wetland thickets throughout much of North America. 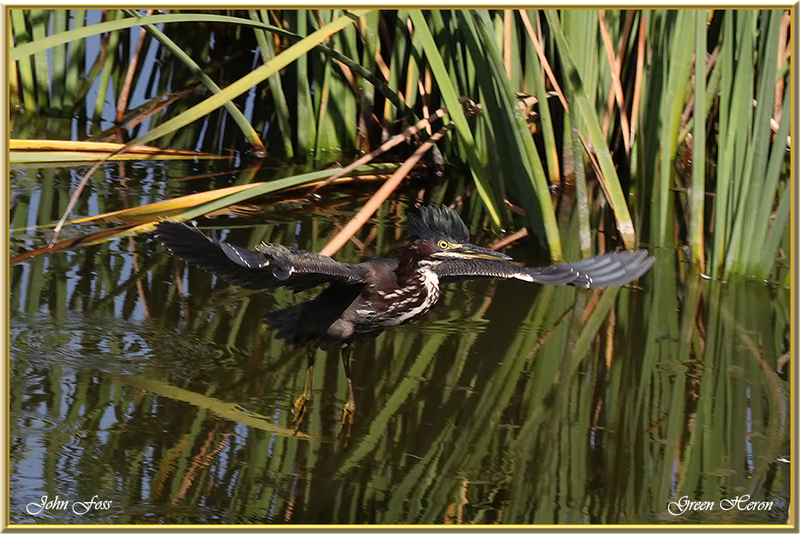 Surprisingly, I photographed this heron way off course at Quinta Do Lago in Portugal. It turned out to be the first one ever recorded there. The species is most conspicuous during dusk and dawn. I was lucky enough to be in the right place at the right time!